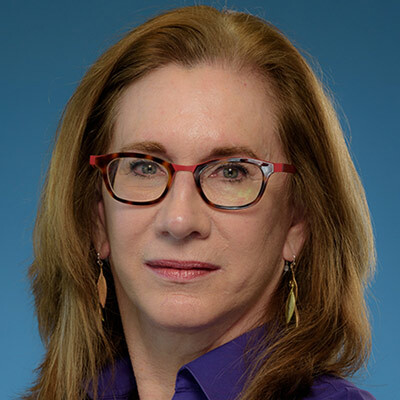 Dr. Debra Mesch is Professor of Philanthropic Studies at the Lilly Family School of Philanthropy at Indiana University and holds the Eileen Lamb O’Gara Chair in Women’s Philanthropy. Dr. Mesch was the Director of the Women’s Philanthropy Institute (WPI) from 2008-2018. Her primary responsibility is to guide the research agenda on the role of gender in philanthropy. Under her leadership, the WPI received a multi-year grant beginning in 2014 from the Bill & Melinda Gates Foundation to expand research on gender and philanthropy. She and her colleagues have written numerous reports for the signature Women Give series about the factors that shape gender-based giving patterns—including age, religion, income, marital status and more—in order to increase understanding about how gender influences philanthropy. Dale, E., Ackerman, J., Mesch, Debra J., Osili, U., & Garcia S. (2018). Giving to women and girls: An emerging area of philanthropy. Nonprofit and Voluntary Sector Quarterly, 47 (2), 241-261. Osili, U., Mesch, Debra J., Hayat, A., & Dale, E. (2016). The effects of gender, group composition, and social trust on the volunteer behaviour of Lions Club International members. Voluntary Sector Review, 7 (1), 67-87. Brown, E., Mesch, Debra J. & Hayat, A. (2016). Life expectancy and the search for a Bag Lady Effect in charitable giving. Nonprofit and Voluntary Sector Quarterly, 45 (3), 630-645. Kou, X., Hayat, A., Mesch, Debra J., Osili, U. (2014). The global dynamics of gender and philanthropy: A study of charitable giving by Lions Clubs International members. Nonprofit and Voluntary Sector Quarterly, 43 (25), 18S-38S. Mesch, Debra J., Brown, M., Moore, Z. & Hayat, A. (2011). Gender differences in charitable giving. International Journal of Nonprofit and Voluntary Sector Marketing, 16 (4), 291-297. Mesch, Debra J. & Rooney, P.M. (2008). Determinants of compensation: A study of pay, performance, and gender differences for fundraising professionals. Nonprofit Management and Leadership, 18 (4), 435-462. How and Why Women Give? Funded by Bill and Melinda Gates Foundation for $2.1 million. Start date 1/2016-1/2019. How and Why Women Give? Funded by Bill and Melinda Gates Foundation for $375,000. Start date 11/2014-12/1/2015.